A Columbus Criminal Defense Lawyer’s Take on America’s Evolving Marijuana Laws | Yavitch & Palmer Co., L.P.A. More and more states are decriminalizing and legalizing marijuana. What does this mean for Ohio? Next week, Washington DC’s marijuana legalization law goes into effect. That means that citizens of our nation’s capital will be allowed to legally use, possess and cultivate a certain amount of marijuana, provided they are 21 or older. 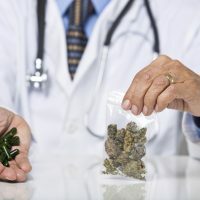 Additionally, last December, a Congress passed a spending measure, which included a provision that essentially ended the ban on the use of medical marijuana. It appears the winds of change are coming, which is great news for advocates of marijuana legalization. But what does this mean for people who live in “The heart of it all”? How might this affect Ohio? Today, the act of possessing less than an ounce of marijuana in Ohio has been decriminalized. This means that, if an officer finds less than an ounce of marijuana on your person, you will be ticketed rather than going to jail. Recreational and medical marijuana are still illegal, however. Even if a law legalizing either recreational or medical marijuana passes, it doesn’t always stop the police from arresting people for reasons related to marijuana. In New York, Mayor Bill de Blasio announced that police may stop making arrests for low-level marijuana crimes, even though the state had already mandated such a law 37 years ago. Remember, marijuana is still illegal in Ohio. And while it would appear as though things are changing, it may take longer than you think. If you end up being arrested and charged with use, possession or sale of marijuana, call Yavitch & Palmer today at 614-224-6142. Without legal representation, you may be facing serious charges, but the qualified, experienced attorneys at Yavitch & Palmer can help analyze your case to get your charges minimized or even completely dismissed. Call us today or make an appointment at our downtown Columbus office using our online contact form.